Lawmakers aren't buying Amazon's latest pitch for a sales tax break in Texas. But Rick Perry is. Amazon, in the middle of a fight with Texas tax collectors over book sales in the state, offered Thursday to invest $300 million in five or six warehouse and distribution centers in the state, employing 6,000 people, if lawmakers would let the company operate for four-and-a-half years without collecting sales taxes. Texas has granted sales tax rebates to companies on goods and services they buy, but has apparently never allowed one to stop collecting taxes from its own customers. The Texas Retailers Association blasted the proposed deal as a carve-out that would leave the state’s brick-and-mortar stores at a disadvantage to the giant Internet retailer. Gov. Rick Perry wants the deal and has contacted lawmakers to promote it, according to a spokesman. And the statutory change that it would require is in the hands of House and Senate negotiators who are putting the last touches on a piece of legislation critical to balancing the state budget. Lawmakers have balked, and what might have been a team effort between the governor and the state’s top tax collector, Comptroller Susan Combs, is complicated by an earlier skirmish over Amazon and the governor’s veto of legislation that would have moved technology procurements into Ms. Combs’ shop. Last year, Ms. Combs hit Amazon with a $269 million tax bill, saying the company’s distribution center in Irving establishes a legal footprint that requires it to collect sales taxes from Texas customers. The company disagrees and Mr. Perry, asked about the case earlier this year, took Amazon’s side and said he wouldn’t have billed the company. Online, mail order and other direct sellers without physical operations in the state, or “nexus,” don’t have to collect sales taxes from their Texas customers. During the regular legislative session, lawmakers approved a change to the sales tax laws that would have established nexus for any company that owns more than 50 percent of an affiliate or subsidiary in the state. It wouldn’t even have to be related to the company’s main business. An out-of-state mail order company with nothing in Texas but a bait shop on the coast would find itself on the hook for collecting sales taxes. Mr. Perry vetoed the bill, saying the state should wait until there’s been more talk “about interstate commerce and the structure of state sales taxes in the 21st century” before changing the law. Lawmakers were already in special session when he announced his veto. Representative John Otto, Republican of Dayton, responded by adding the provision to a critical fiscal bill needed to balance the 2012-13 state budget. That raises the question of whether Mr. Perry will veto the fiscal bill and kill the provision. In the meantime, Amazon made its tax proposition. Mr. Perry likes it because it would, in the words of Mark Miner, his spokesman, “create more jobs than the Caterpillar deal or Toyota” — two earlier headline-grabbing economic deals in Texas. Amazon made a similar deal, under similar circumstances, with South Carolina last month. In the latest iteration of the Texas proposal, the company agreed to create 6,000 full-time jobs with full health care benefits over the next three years and to invest $300 million in new warehouse and distribution centers over that same period. In return, the state would agree to let the company go four-and-a-half years without collecting sales taxes from its customers in Texas. The customers still owe the money whether Amazon collects it or not — under state law, sales taxes are collected by sellers and turned over to the state, but the customers are the taxpayers. The company agreed to print the amount of taxes due on customer invoices and e-mail confirmations. But it would be up to the customers to then, of their own volition, pay the state any taxes owed. The deal, as the company proposed it, would expire at the beginning of 2016. Curiously, Ms. Combs said the Amazon deal would cost the state nothing. On the one hand, she’s got a pending tax case against the company that says its failure to remit sales taxes costs the state about $70 million annually. And Mr. Otto’s bill would have brought in $16 million over the next two years, by Ms. Combs’ official estimate. But giving the company a break for the next two years is a freebie, apparently. 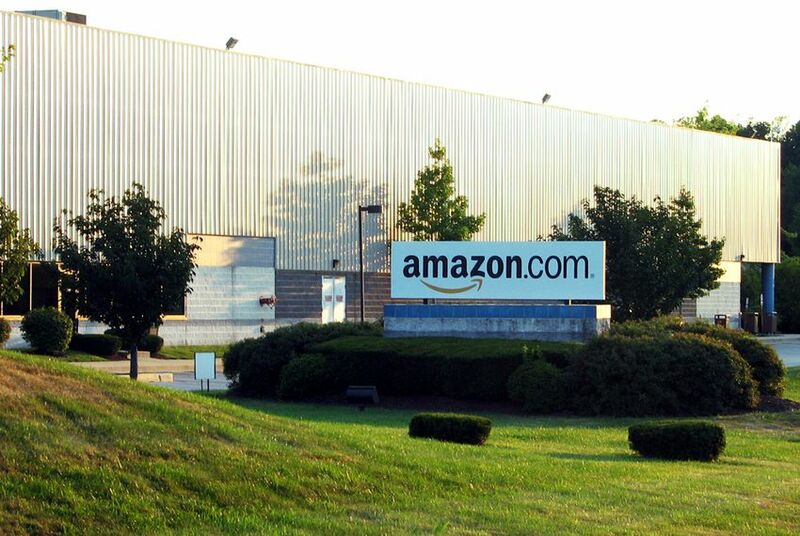 “Our current revenue estimate does not assume that Amazon will either voluntarily or be compelled to collect taxes during the 2012-13 biennium, so there is no loss to the estimate from the agreement,” a spokesman said via e-mail. They left out whether the deal would make it harder to collect the $269 million in back taxes.